Over the last 50 years, the civil conflict, a dramatic decline in terms of trade, demographic pressures and misguided policies were major contributory factors to Sri Lanka’s economic underperformance. The current prospects are significantly more propitious not only because of the absence of major ‘drags’ on the economy but also due to favourable economic geography (previous Economic Alerts have elaborated on this). The government has set a growth target of 8 percent in the medium term. It also aims to double per capita GDP to over $4,000 by 2016. This would require average annual real growth rates in double digits. Given the limited size of Sri Lanka’s domestic market, these targets cannot be met without a significant improvement in export performance. Both export product categories and destinations need to be diversified. A concerted effort to plug into Asian supply chains will also be particularly important. At a time when the global economic centre of gravity is shifting from West to East, Sri Lanka needs to address a situation where 60 percent of its exports are directed to the sluggish markets of Europe and North America and less than 10 percent to the dynamic markets in China and India. These two countries now contribute more than half to global growth. Improving the investment climate, particularly in the tradable goods sector, would be essential to achieve the desired export growth. The key elements of a conducive investment climate are well-known. They include stable, consistent and predictable policies; macroeconomic stability, robust legal and regulatory frameworks; and an improving environment for doing business. The Sri Lankan authorities are seeking to make progress on these fronts, as the pace of growth of investment after the end of the conflict has been discouraging so far. Concerted action is being taken to improve the country’s ranking of 102 out of 181 in the World Banks ‘Ease of Doing Business Index’. The rankings are particularly low for paying taxes, dealing with permits and enforcing contracts. The Finance Ministry and the Central Bank of Sri Lanka (CBSL) is taking the lead in bringing about a significant improvement of Sri Lanka’s ranking on this index. The target is to take Sri Lanka into the top 30. 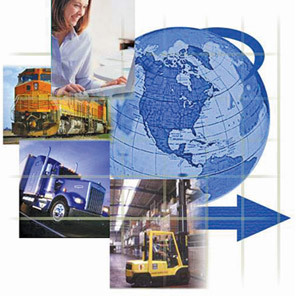 Logistics system: Where do we stand? While considerable attention has been focused on the country’s performance in the World Bank’s ‘Ease of Doing Business Index’, much less has been discussed or done to address a worse ranking on the World Bank’s ‘Logistics Performance Index’ (LPI). Sri Lanka was ranked 137th out of 154 countries in 2009. The LPI is composed of indicators relating to customs, infrastructure, logistics competence, shipments, tracking and tracing and timeliness. Within the South Asia region, Sri Lanka’s ranking is even below Bangladesh, which is a least developed country. However, it is noteworthy that improvements in logistics have been a major determinant of the success of the apparel sector. In fact, this is part of the explanation why orders, which have hitherto gone to Bangladesh, Vietnam and other apparel producers have now been diverted to Sri Lanka. The challenge is to move away from the current two-tier system and to improve the logistics for the other export sectors as well. According to the LPI, Sri Lanka’s performance is particularly weak in clearance by border control agencies (particularly customs), logistical competence and ability to track and trace consignments. There has been slow progress in implementing customs reform. Sri Lanka has made less progress than other countries in South Asia, such as Bangladesh and India. There is a strong case for attaching high priority to customs reform, including full use of the ASYCUDA system and development of a computerized system of risk management. Lack of progress in this area place our exporters in a disadvantageous position from competing in time-sensitive markets, thereby undermining the growth and employment prospects of the country. Sri Lanka’s LPI ranking also reflects logistics related problems with both road and rail infrastructure. These include congested road access to the Colombo Port and the poor quality of trucking and rail services. Both trucking and rail costs exceed those in Bangladesh and India. The railway sector accounts for only about one percent of freight movements and is characterized by a large cost structure. In addition the logistics sector has been slow to provide value added services for transshipment through the Colombo port. The government can encourage this by providing free zones and customs procedures that will enable services to be provided efficiently. Failure to do this can make Colombo vulnerable to losing market share to Indian ports that are being upgraded, particularly as pure transshipment cargo is foot-loose. Colombo’s ability to maintain its competitive position vis a vis other regional hubs, and increasingly efficient Indian ports, will also depend on its ability to replicate the level of efficiency attained by the South Asian Gateway Terminal (SAGT) in the operations run by the Sri Lanka Ports Authority and the new facilities being constructed in the South Harbour. Sri Lanka’s major exporters, particularly apparel manufacturers, have been successful in circumventing the challenges posed by the country’s poor logistics performance. They have done so by restricting themselves to niche higher value markets with relatively long order cycles. In future, they will be under pressure to expand their product lines and shorten order cycles. 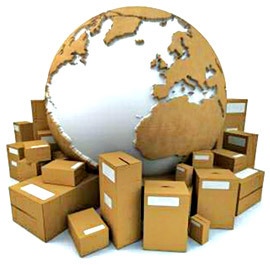 Under-garment manufacturers are already increasing use of air freight to reduce delivery time. Another category of successful exporters have got around the logistics challenges by maintaining their competitive advantage through use of locally available raw materials. Going forward, national export and growth targets can only be met through a change in the mix of local and imported goods to diversify the export base. Improving logistical performance would be an important part of meeting the competitive challenges that arise from this. Failure to raise our game on logistics will undermine the country’s prospects for achieving the export targets which are crucial for meeting growth and employment objectives. Poor logistics is undermining the competitiveness of the economy. Manufacturers have demonstrated the ability to reduce the time and cost of export production, while increasing reliability. 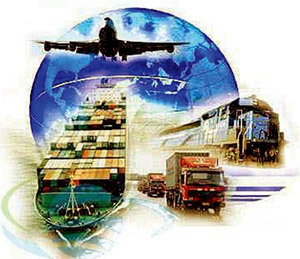 However, the logistics sector has not been similarly proactive in developing supply chain solutions that can increase competitiveness by reducing delivery time and driving down total supply chain costs. Improving the domestic component of supply chains is important for achieving this objective. However, the relatively small size of the economy and the concentration of GDP in the Western province imposes some limits in this regard. As a result, even greater benefits can be derived by restructuring the international components of supply chains so that value can be captured locally.